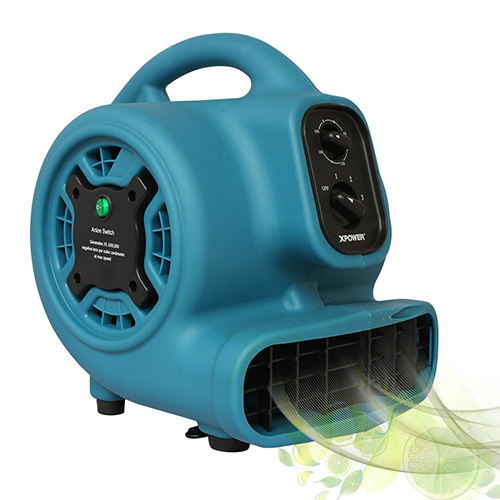 With a keen eye on industry needs while remaining faithful to its tradition of innovation, XPOWER launches its leading-edge line of Scented Air Movers. Not only does the Scented Air Mover work its regular shift drying floors, paint and other wet areas, it follows up its drying work by adding fragrance into the air. XPOWER has added an ionizer option to several models to help freshen the air and remove particulates such as dust, allergens and dander. Other models include a daisy chain feature for large jobs where more than one air mover is necessary. Check out the features and uses of the Scented Air Mover in the video below.